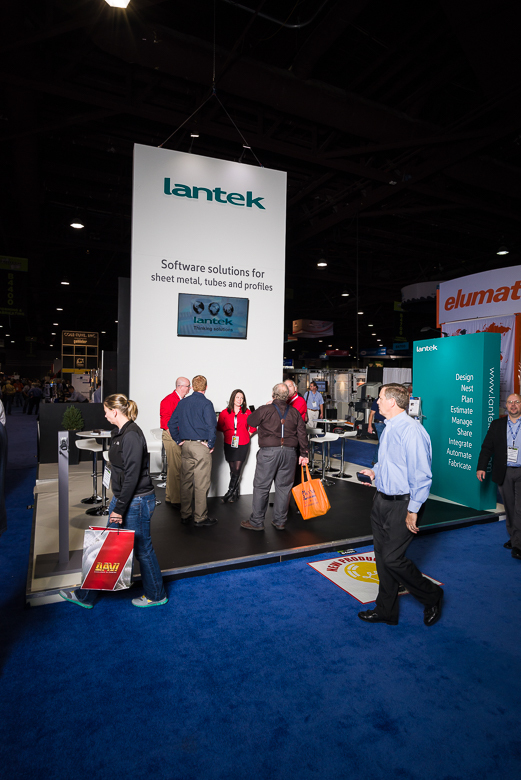 Fabtech is North America´s largest metal forming, fabricating, welding, and finishing event making it the ideal venue for Lantek to exhibit its full range of software for the industry. Lantek solutions enable companies to manage all of their sheet metal manufacturing operational requirements. These include: the creation of quotations, customer relationship management, CNC programming of laser, plasma, water jet and punching machines, production control with live reporting, as well as quality and traceability management, stock control, purchasing, and invoicing. Integration of the modules and the ability to link them to the customer’s existing software makes it possible for companies to make the most of their existing systems while getting the benefits of Lantek’s software. Lantek software has been designed for sheet metal manufacture and draws on many years of experience within the industry. Lantek has more than 15,000 customers worldwide. The Lantek Expert CADCAM and Lantek Manager softwares imports designs directly from leading CAD systems. It then integrates production requirements, sorting out material types and thicknesses, into its automatic nesting packages. This enables users to work dynamically as customer requirements change while, at the same time, optimizing material utilization. The automatically generated CNC programs for cutting machines include advanced features, such as common line cutting, to save machine travel and material, automatic handling mechanisms, sheet turning and form tools. This enables companies to speed up manufacture and reduce costs. Information about costs and manufacturing times are accessed from within the system making it possible to generate accurate, competitive quotations extremely quickly. Customer relationship management keeps track of customer records and sales performance. During production, Lantek Wos and Lantek Workshop Capture provide live feedback of what is happening in the shop. The available data tracks all types of operations including: laser cutting, forming, welding, painting, and assembly, ensuring shortages are replaced, discrepancies in manufacturing times reported and parts are delivered on time. The information available to managers enables them to ensure customer satisfaction, keep track of costs, and maintain quality levels. 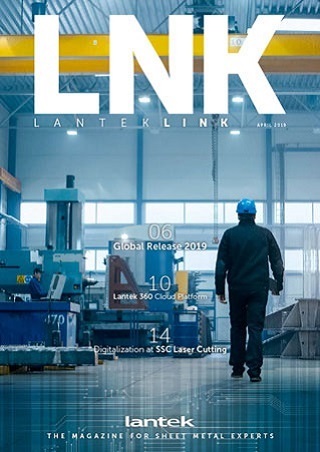 By controlling every aspect of manufacture, the Lantek solution minimizes administration and links the operation of the business into one entity improving the efficiency of all resources. The result is an agile and responsive manufacturing organization able to meet its customers’ needs effectively and profitably.